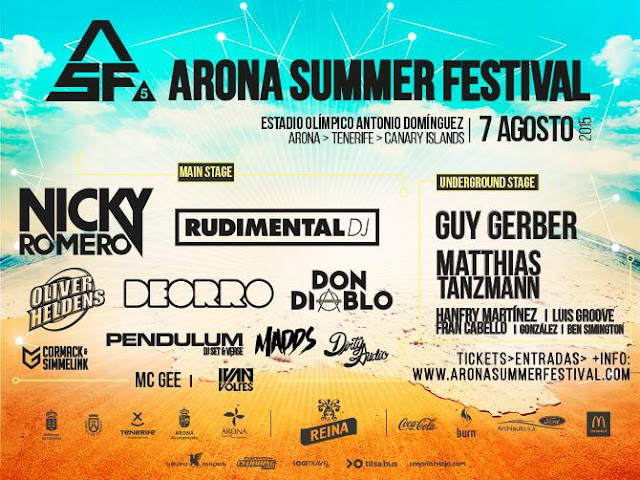 This year's Arona Summer Festival - billed as the Canary Islands’ best electronic music event - kicks off today at the Antonio Domínguez stadium in Playa de las Américas. DestinationClubbing say that, "For this 5th edition of the Arona Summer Festival the very best of international DJs will bring music to your ears. With names such as Oliver Heldens, Rudimental, Don Diablo, Matthias Tanzmann and Nicky Romero running around we can already expect a great outcome. For all clubbing fans and all the beach babes out there, this is the perfect opportunity to fly to the island of Tenerife, in the Canary Islands, to spend an incredible time." They're probably right. 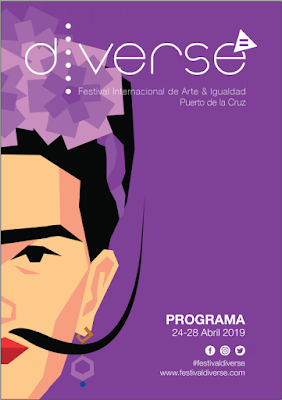 Janet Anscombe tells us that this will come with lots of traffic disruption this Friday and Saturday in Playa de las Américas and warns that, "Anyone using the tax office, the Green Hospital, the Golden Mile, or even the main police station could find diversions and parking restrictions in place." Always a price, I guess!